Current book Ina May’s Guide to Childbirth by Ina May Gaskin. Current food Banana bread from a friend at church. Current need A date night with Jimmy. We’ve been busy lately! Current confession I started mowing our lawn the other day and when I was halfway finished, it began to pour down rain. It has been raining on and off since then… so we have a half mowed lawn right now. Classy, I know. Current drink Blue Mountain Blend coffee from HomeGoods. Current beauty product I’ve got nothing here. I am so boring with beauty-related things. Current indulgence Sending memes to my siblings. This one was so us. Current obsession Sniffing Lola. Yeah, I know it’s weird. I took her to the groomer and she smells so good! Current excitement The fact that it’s April. Now I can say we will plant our garden next month! 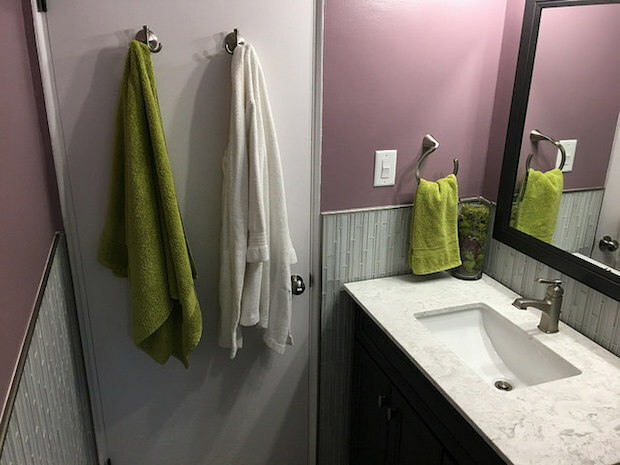 Current procrastination Posting a final recap of our bathroom renovation! Malcolm does need a friend, as does Lola! Like a cocker spaniel? Beauty product~ hmm anything neutrogena 🙂 or Too Faced, or urban decay, or Anastasia, or Make up Forever…. ok, I’ll stop. I can see we need a trip to Sephora 😋. Yes, someone agrees with me!! Can you imagine our little house with two more fur babies?! It might explode! With love and fur, ha. I am always in awe of your makeup knowledge and skill. I don’t even know half of those brands you mentioned, sooo we definitely need a Sephora trip! LOL at that meme! If I were to assemble all the cats I see on my way from home to work, I think I’d end up with a house similar to that picture haha! That meme was pretty much my childhood, haha. 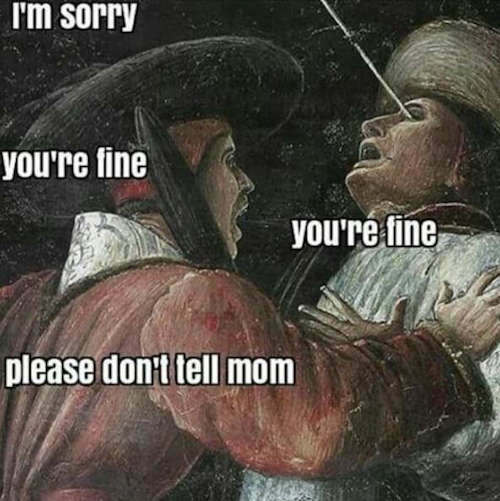 My brother was always picking on me and when I would get hurt, he’d be like “You’re okay!! Don’t tell mom and dad! Sorry!” hahah. Oh man am I jealous of your walk from work! I would have no self control and would probably take in every stray! Ahhhaha I died at that cat photo AND that meme. I want a house full of black cats like that. And that meme. Yes! It was basically my childhood! 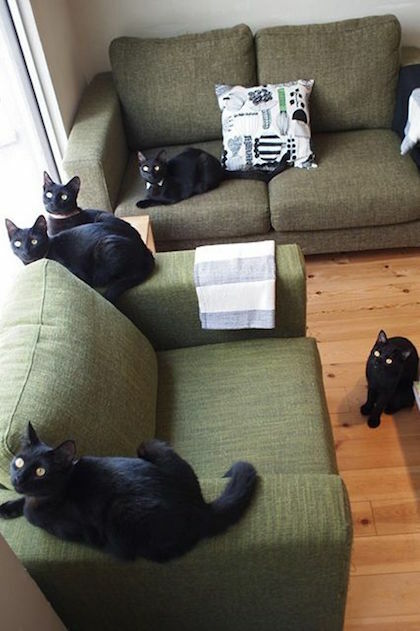 Legit if your house looked like that (all the cats), you would be cat lady!!!!! But actually that would be fun so I totally support it :)! It’s April and I agree, so exciting. Did you get snow last weekend? We got nailed with another 10″ in NH…. April fool’s hahah good one Mother Nature. I am all for becoming a cat lady! I’m glad you give me a vote of support in my cat antics!! Ah I love the outcome of your bathroom. Such a pretty color and the sink top is gorgeous!!! I love your craving response with the photo lol too funny. Cannot deny that you’re an animal lover ❤ also I hope you and Jimmy get your date night soon!!!! Yay for your summer garden! The pic with all the cats made me laugh. Gardening is just the best! It makes me so, so happy! And yes, I was all of those cats!